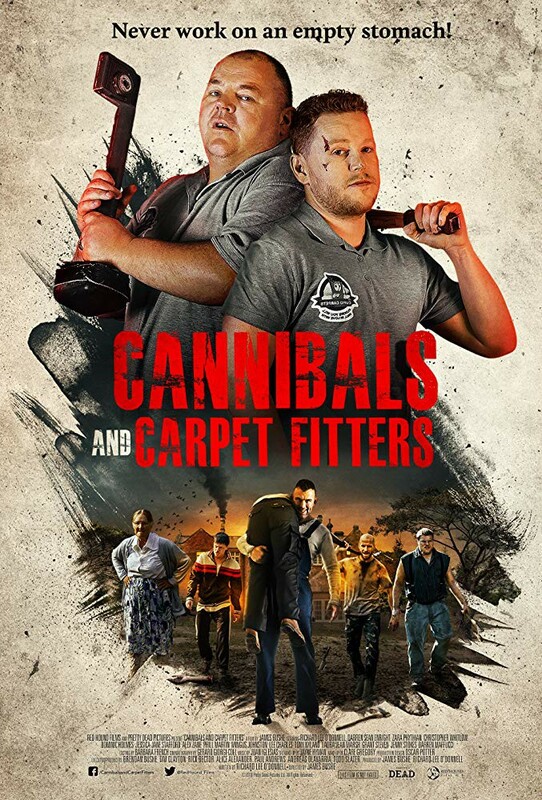 Ken here, with a review of the horror comedy CANNIBALS AND CARPET FITTERS. That trailer captures the tone pretty succinctly. This is a HOME episode of X-Files told in a SHAUN OF THE DEAD voice. There are sprinkles of HELL NIGHT, TEXAS CHAINSAW MASSACRE and others hidden within too. Nigel (Tony Nyland) sends his Cupid Carpets employees to an off the main road estate to pump up the old business with dramatic results. Gerard Giorgi-Coll (cinematographer) gets the most out of these aerial shots. It’s a stunningly beautiful location, captured in all its expansive beauty, by Gerard. He also creates great atmosphere in the catacombs beneath the house but I’m getting ahead of myself here. Nigel feels this new account will be a big one so he sends two teams to work the site. They get separated enroute and the first van arrives at the Hanning estate, alone. The crew introduces themselves to the matriarch, Mrs. Hanning (Jenny Stokes) and she in turns introduces them to her inbred sons. I told you this one was like the Peacocks! Jack (Alex Zane) and Gilliam (Jessica-Jane Stafford) get separated and things go downhill fast. The inbred cannibal boys aren’t much for speaking words beyond grunts but boy can these dogs hunt. Coworker Chris (Christopher Whitlow) isn't much help in the following lunacy. He manages to maintain his wits about him until he loses it and his nose. This scene is one of my favorites. The VFX is seamless and Jack sprouts a good couple minute stream of crimson out of his schnoz, while he's running away from the inbred clan. Alas in the end, all 'carpet fitting' work and no play leaves Jack a motionless boy. Meanwhile Gilliam is doing her best TCM impression at the head of the table. There’s no grandpa or bucket. Instead, there’s a table full of inbred men and their worm carrying mom. As they say, the early bird gets the worm, except in this case the worm is an axe. The Hanning’s clean up the evidence right before the late Cupid Carpet crew arrives. Just in time for seconds! 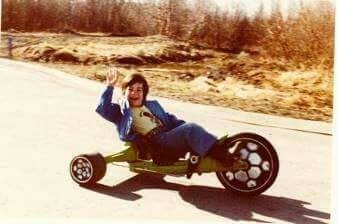 I loved CANNIBALS AND CARPET FITTERS! It’s a humorous take on a taboo subject that keeps everything nice and safe while dousing us in the red stuff. This is fun horror at its best. The jokes don’t all land but most of them do. 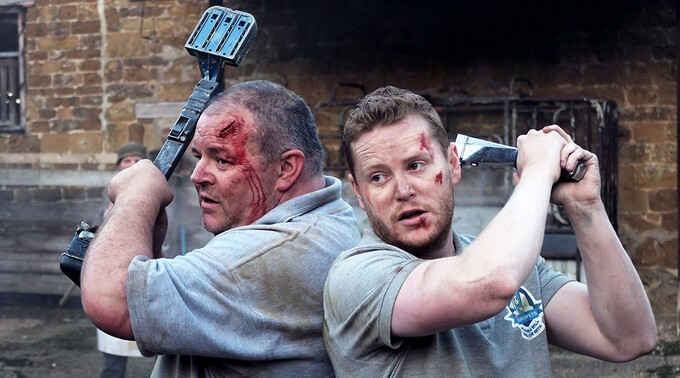 There’s sly homages to SHAUN OF THE DEAD and a few other horror flicks. That opening scene feels like an homage to Zack Snyder’s DAWN OF THE DEAD remake. I’m probably completely wrong. Until James Bushe (Director) personally calls to tell me so however, I’m right! This is a feature length version of James’ earlier short film of the same name, linked here. Richard Lee O’Donnell wrote and stars in this humorous cannibal tale. What is your favorite film dealing with the cannibalism? Mine are probably, THE TEXAS CHAINSAW MASSACRE, MOTEL HELL, RAVENOUS and JUNGLE HOLOCAUST, with an honorable mention to CANNIBAL: THE MUSICAL. 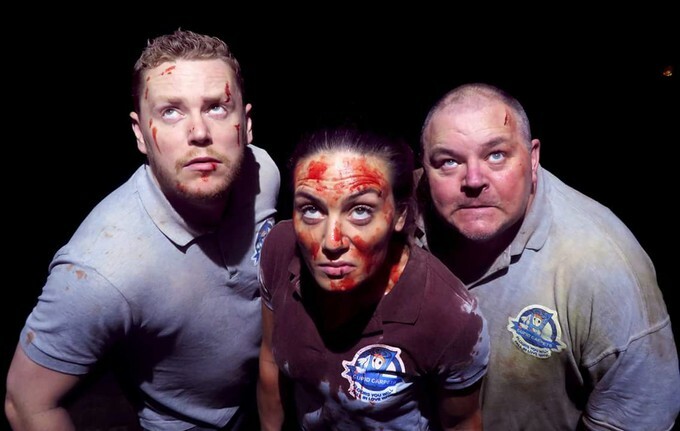 If you enjoy humor with your blood splatter this one is absolutely for you. Hell, who didn't like SHAUN OF THE DEAD? Don’t be fooled though, there’s at least a few absolutely shocking moments in this one. Which really helps to keep you on the edge of your seat and unsure of what's coming next. What's coming next, has me very excited however. James' next film is titled HEXED and follows a late night coach journey, attacked by a coven of vengeful witches. Sounds like he's foregoing the humor in this one. I can't wait to be trapped in that coach! You can purchase CANNIBAL AND CARPET FITTERS via Amazon here.